$980/shared room; $1165/private room; $685/commuter. Note: The fee for this retreat does not include any payment to the teachers. There will be an opportunity to make a donation directly to them at the end of the retreat. Mindfulness meditation is a simple technique offered by the Buddha for awakening the mind and heart. This retreat will be a time of silence, with periods of sitting and walking practice, opportunities to talk about your own practice, and formal presentations. It is suitable for both beginners and experienced meditators. Mary Grace Orr is a senior teacher at Spirit Rock Meditation Center in Marin County (CA) and the founding teacher of Insight Santa Cruz. 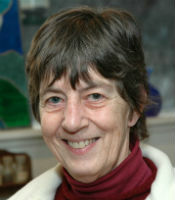 A beloved teacher at Pendle Hill, Mary Grace has led retreats here since 1997. She now lives in Hawaii and teaches retreats both there and throughout the United States. 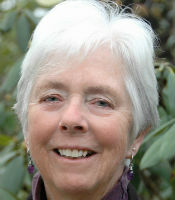 Anne Briggs is a lifelong Quaker who also leads the Insight Meditation Community of Chestertown (MD). She completed the Community Dharma Leader Training (CDLT) at Spirit Rock Meditation Center and has assisted Mary Grace for many years. Larissa Kitenko, a longtime practitioner of Insight Meditation, studies and practices Buddhism in the Theravadan tradition. She completed the CDLT at Spirit Rock Meditation Center with Mary Grace as mentor, and the Mindfulness-Based Stress Reduction (MSBR) Program teacher training with Jon Kabat-Zinn. A volunteer hospice and hospital chaplain, Larissa teaches MSBR, leads the Easton Meditation Group, and leads classes and retreats in Eastern Maryland.